This is some weird looking cutlery to say the least. 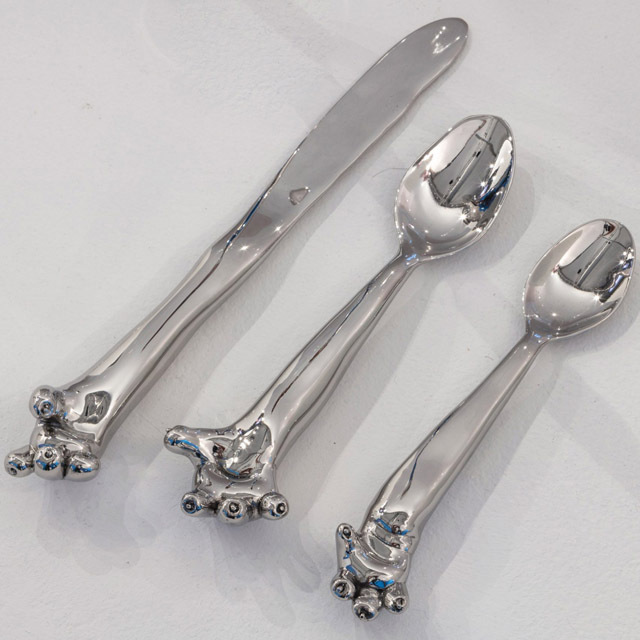 Simon and Nikolai Haas (the Haas Brothers) created this unique flatware for art collector George Lindemann Jr. This set consists of 144 knives, forks and spoons and are cast as whole. They each feature a four-digit paw with tiny claws on the end of the handle. We are very big fans of Everyday Carry Cutlery and this functional flatware from Baladeo fits the bill. 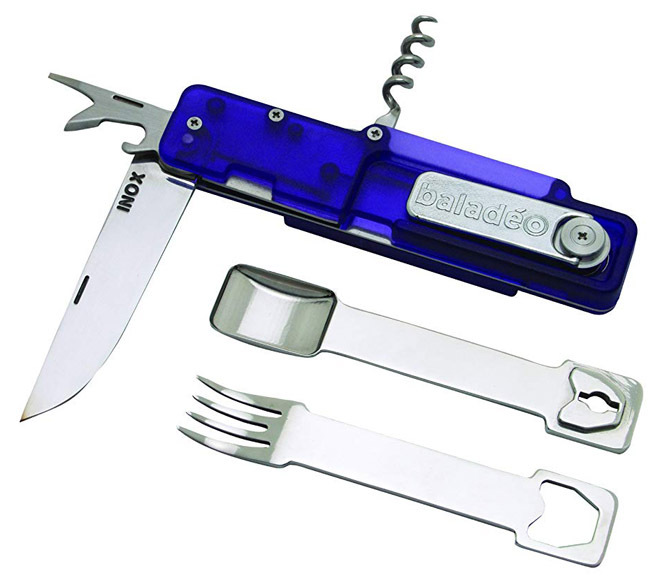 Just like a Swiss Army Knife, this cutlery set comes with a detachable spoon and knife, a bottle opener, corkscrew, knife, can opener, and a screw-driver. The spoon, fork with knife and can opener are removable. It’s made of ABS plastic for the handle and stainless steel parts for the rest. Oh, and it includes a black nylon pouch with magnetic closure. It’s that time of year again, time to start planning the big Christmas dinner. 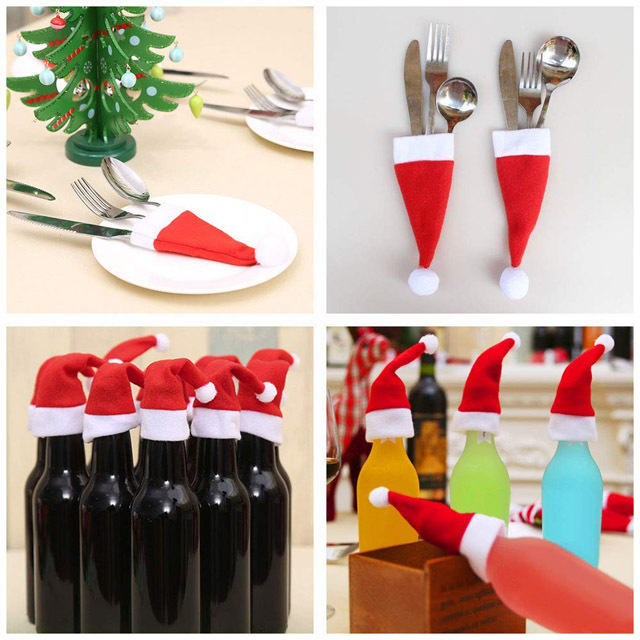 These cute little Santa Hats make great cutlery holders as well as bottle toppers! There are 20 pieces included and they are 4 3/4 x 2 3/8 inch in size. What can I say that the picture doesn’t? They are small (roughly 6 inches long) wooden spoons that are sold for use with salsa but can be used for almost anything whether sauce, yogurt or whatever. They are very cheap and very handy. This is versatile wooden flatware that is function over form. Oh, and a bonus! They come with salsa recipes!